Love the look of rust? 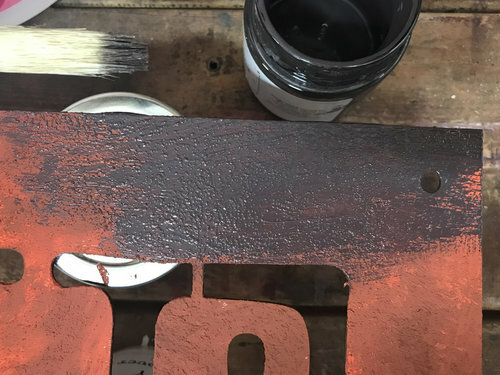 With the DIY Paint System, creating rust effects is simple. 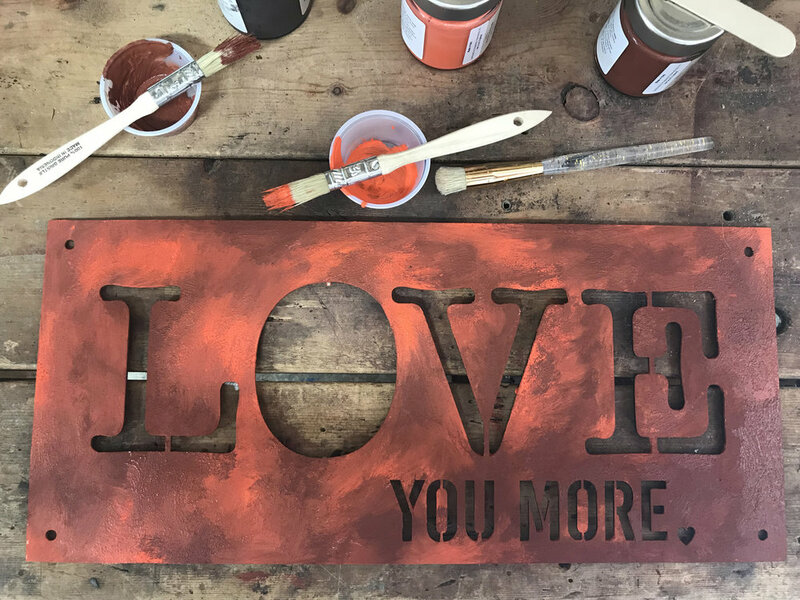 Lori Craig shows you how she transformed a balsawood sign into a rusted piece of decor. I have a few blank walls in a small travel trailer that I purchased this summer, and I’ve been on the hunt for a few personal and lightweight decor items. 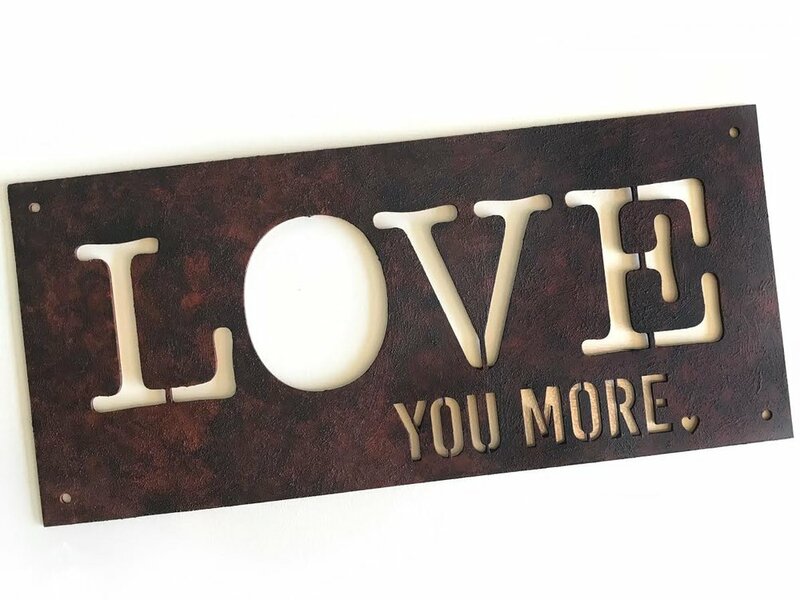 I found this balsawood LOVE YOU MORE sign at a local craft store, and thought it would be perfect. It’s kind of the family mantra around here. 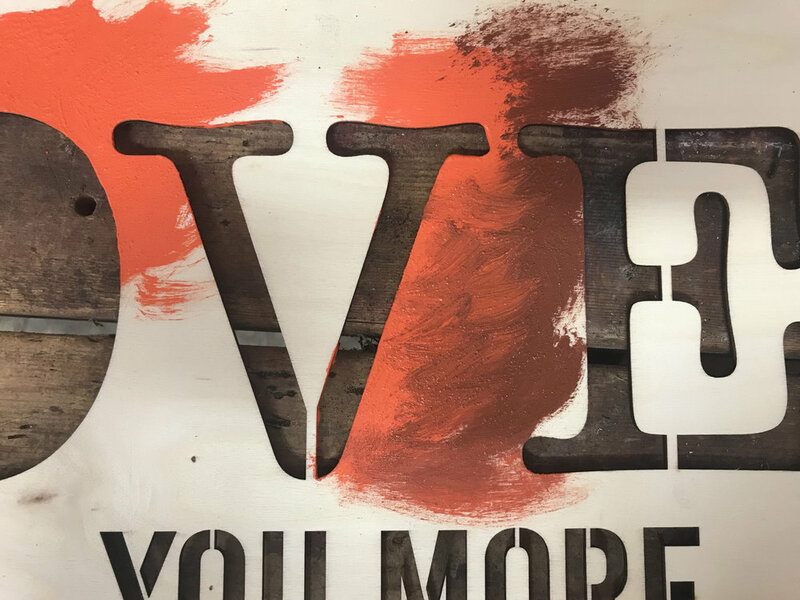 I knew a rusted metal sign would look great but the walls inside travel trailers are not made for nails or heavy decor, so the lightweight balsawood with a faux finish technique was perfect! A few quality products from Tommy Art and three disposable paint brushes made quick work of this project - start to finish I have about an hour into this piece - including dry time. 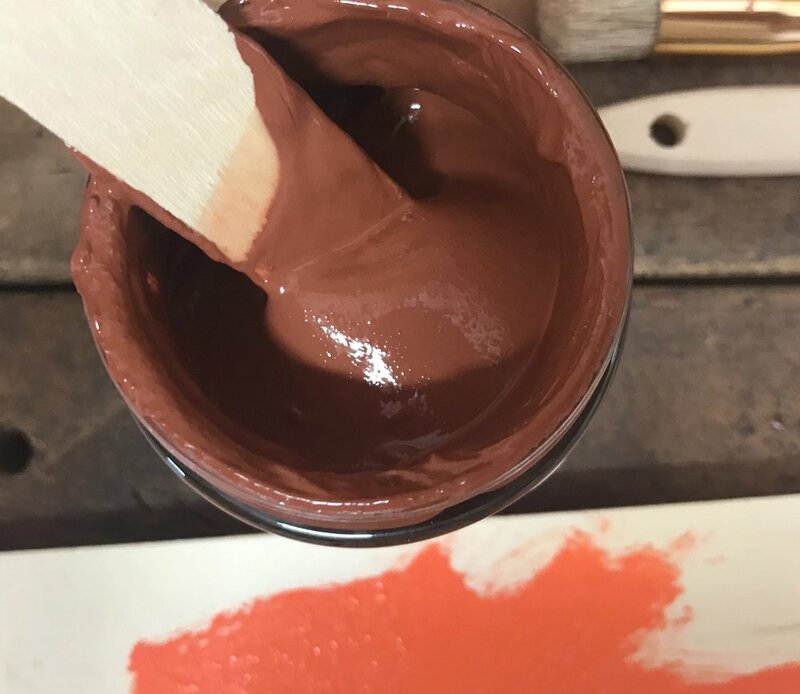 You’ll find these rich pastes so easy to use, with just enough grit to lend an authentic oxidized look to your finished piece. Using a stipple brush or chip brush , immediately dab brick red paste randomly onto the surface. Leave some areas dark, some areas blended with the bright orange paste, and some areas light. You can see my application of the pastes was really random and haphazard. This was very easy step and fun to work through. Let dry completely. Using a brush, apply antiquing coating. On larger pieces you may choose to work in small sections as coatings will dry quickly. Use a damp cloth or sponge to immediately remove some of the antiquing coating. Remove unevenly for a more realistic rusted appearance. Protect with neutral wax (transparent varnish is also a great option). I love the look and feel of this faux finish - so much more than paint. I wanted a lightweight hidden way to hang this in my travel trailer without nails or screws in the wall. A thin piece of twine and Better Ultimate Adhesive provided a quick “hanger” that easily rests on a 3M Command Hook. Hang your rusted sign in the perfect spot. Here's mine hanging in our travel trailer. 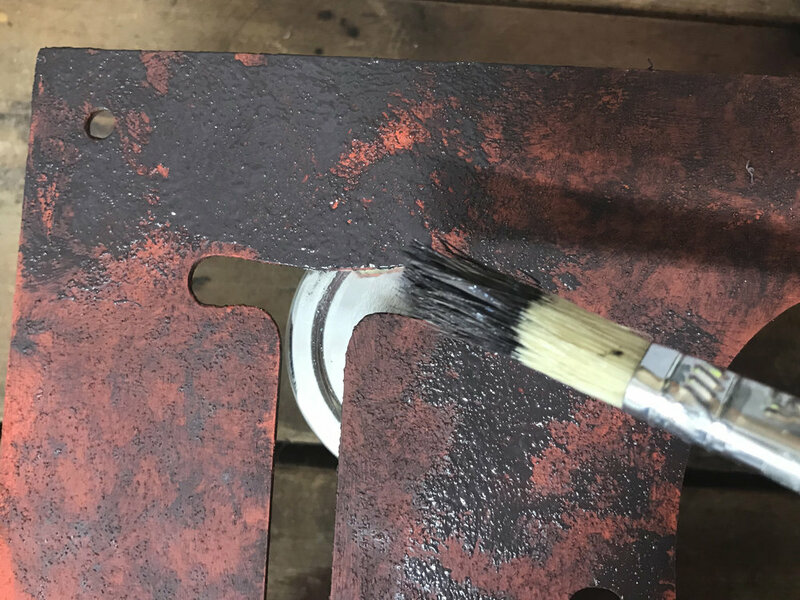 This faux-rust technique is so fast and fun to execute. The quality material and finish achieved with Tommy Art products makes it a perfect choice for lamps, vases, wall-decor and more - even a faux-finish wall!